It’s totally Sarah with none of the icky seriousness bits! Captain Marvel Fan Event in Singapore! How was Comic Fiesta 2018? Singapore to Kuala Lumpur Bus trip! Our trip for Comic Fiesta 2017 has too many pictures and exciting things that I decided to just separate it into different posts. This is for travelling from Singapore to Kuala Lumpur via bus aka coach. Our choice company has always been Aeroline since it stops at Corus Hotel which is just a walk away from KLCC and thus in total around fifteen to twenty minutes walk to Trader’s Hotel. Anyway, Aeroline always provides one meal on board including a hot drink, a bottle of water and the seats are way comfortable and the service is great. It also has an on board entertainment with some movies, music and games (it’s funner if you ask your friends to join in on the system instead of versus-ing the computer). That’s a freaking giant cream crackers ad. I was amused. If you haven’t used Aeroline before, the pick up is at Harbourfront centre at the carpark for coaches. From there we drive off to Tuas checkpoint, get our passports scanned (first on the Singapore side) and then stamped at the Malaysian side. At the Malaysian side, you have to take out all your luggage and put it in the x-ray scanner then after all that, reload it back into the bus and you’re on your way to Kuala Lumpur! 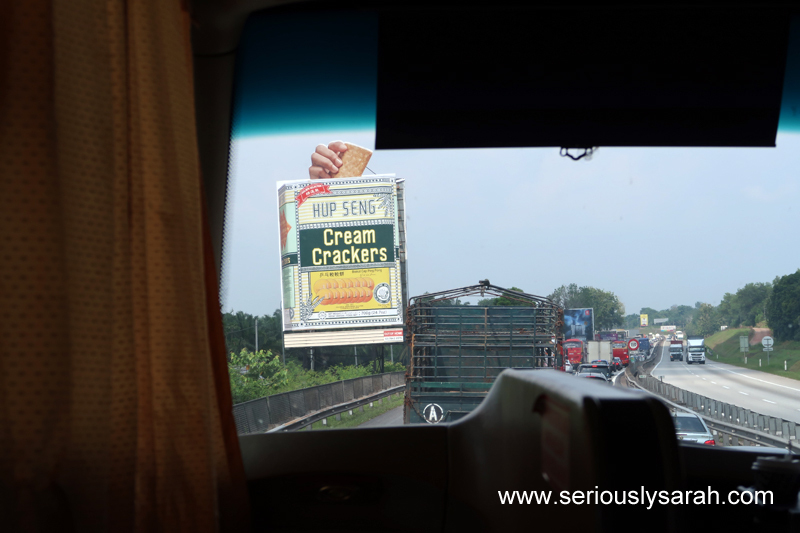 Continue reading Singapore to Kuala Lumpur Bus trip! Posted on December 23, 2017 December 22, 2017 Categories Food, TravelTags AdCrew, adventure, malaysiaLeave a comment on Singapore to Kuala Lumpur Bus trip! 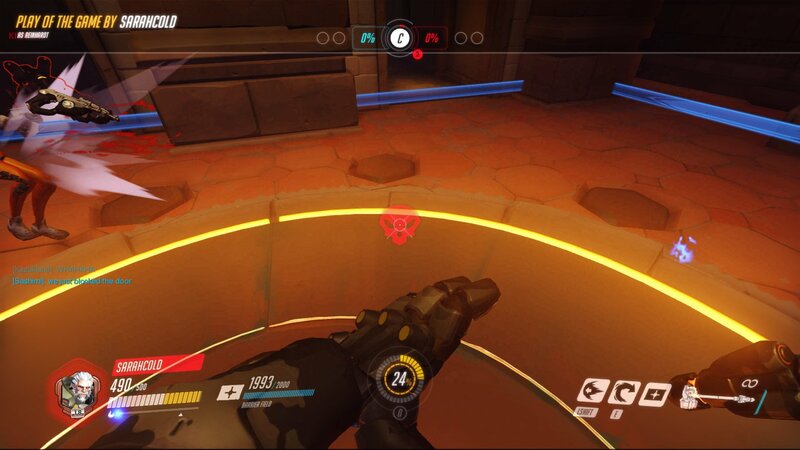 What has Overwatch got to do with anything? 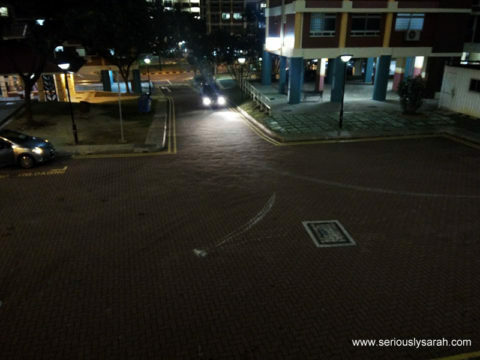 Well on Saturday night, my crew went to the Geylang Bazaar to buy food without me because I just finished work and had to go home. It was the brand we wanted to get years ago for our Harry Potter parties but the shop closed down. 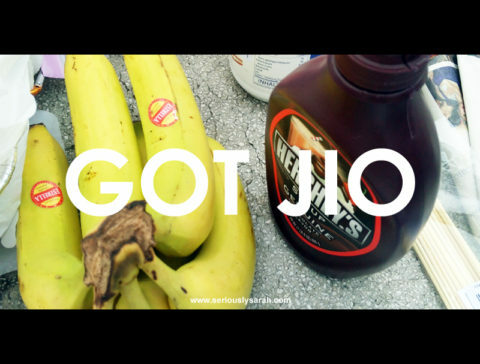 But now… it’s back!!!!!!! I asked them to come to my house with butterbeer because I was stuck at home. Boo hoo tragic kingdom. And while I was Overwatching, I WAS FINISHING THE GAME QUICKLY SO I CAN TELL THEM TO COME (hence player of the game, get the objective, get my butterbeer), they conferred with each other and then yes. THEY DID COME BY MY PLACE. One of the most ridiculous plans we did. 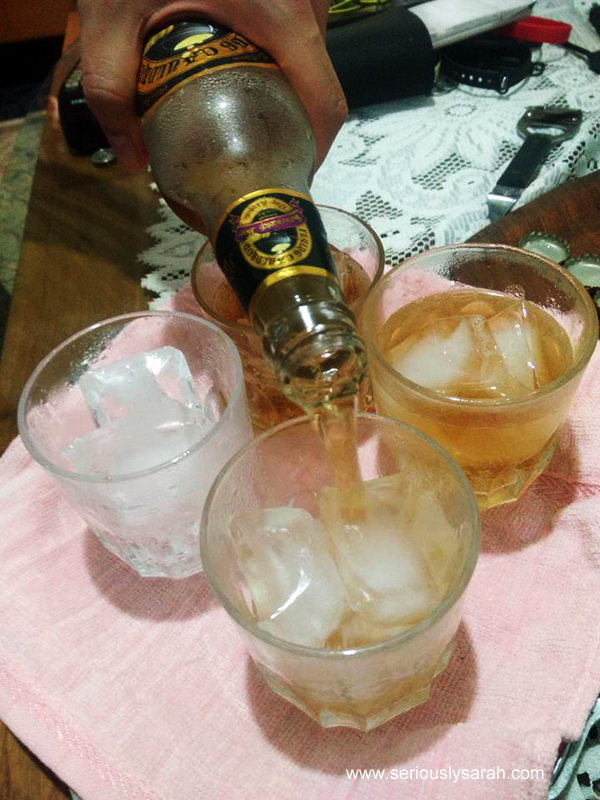 Them coming over just to let me try butterbeer they found at the Bazaar. FYI, it’s near the market side/cheers of Haig Road, the stall name is Word. You can get butterbeer and a butterbeer float after the bazaar at their own bistro too so no worries on that. Try it chilled over ice. In a frosted glass. Ahhhh, such Harry Potter vibes. Ok. Here’s the comparison to people who have went to World of HP and tried the butterbeer and this. And if not at Word Bistro (they have rainbow bagels and other foods), you might want to try buy online which I found out from another friend it’s available here. 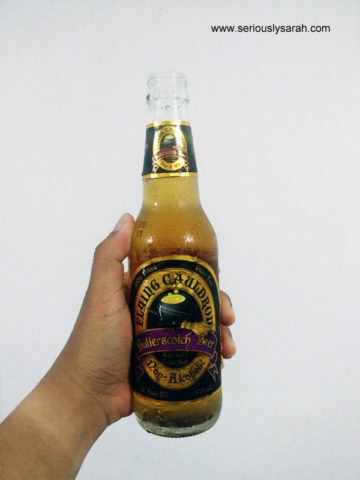 Butterbeer is back in Singapore for all you wizards! HUZZAH! OK, BESIDES THE WHOLE BUTTERBEER THING. I’m pretty AWWWWWWWwwwwwwwwwwwwwwwww at my friends who DROVE OVER to just come by with the bottles of butterbeer cause we’re a bunch of nerds and shared it. They are ridiculous but so AWWWWWWWWWWWWW. A++ Imma make my salmon wellington for them once puasa is over and we all can have a great day together. 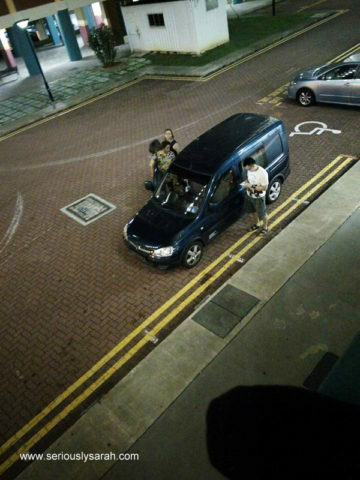 What’s Nothing In Party-Cular People of Singapore? It’s nothing really. It’s a bbq/picnic thingy that we plan to happen on a long weekend or just some random date because sometimes you got to just have a random day to chill out. That’s why it happens for nothing in particular. So this is some stuff that happened. Heck that year in Facebook thingy. See you guys next year with more stuff. Yesss. 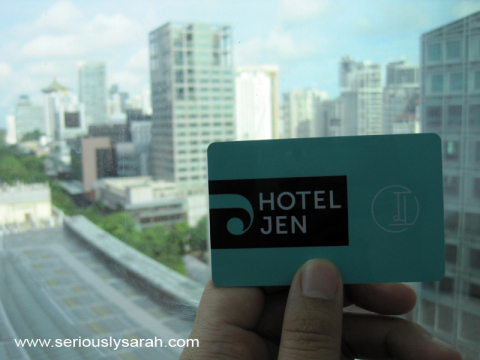 Hotel Jen at Orchard Gateway. I booked a staycation in their deluxe room because it was the ‘minimum’ room that had a freaking bathtub. All I wanted was just a freaking bathtub since my previous staycation at another location did not have one even if they were in freaking Sentosa. Yes, it’s a teaser post or at least a very short one. Sunday was the Tampines Run which I just ran around Bedok Reservoir pretty quickly (relatively quickly) so I could go home and prepare for STGCC! Since I posted my ‘loot’ from my run, this is my LOOT from the Singapore Toys Games Comic Convention. More details in my main post for STGCC! In the week or so. Heh, I still have interviews I did during ICDS. The cosplay/comic season has begun fully. Liquid City Volume 3 launch was on Saturday at Ngee Ann City’s Kinokuniya. Yaaay! 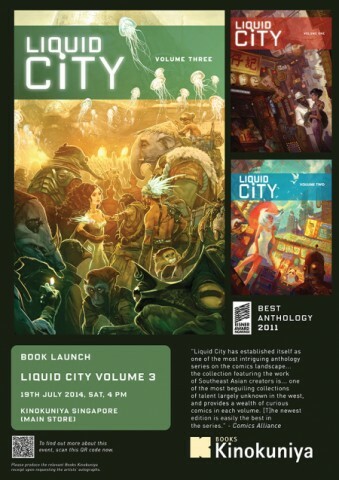 Guys, it’s the book launch of Liquid City Volume 3 on 19th July, 4pm at Kinokuniya! The one at Ngee Ann City aka Orchard. Go check it out because Max is in it! Yeah!! Ok. Sonny Liew and all other famous artists too but THIS IS WHY THIS IS A BIG THING. WOOOH. Prepare at least $38.90 because it is a volume of WOAHness. That’s the price I saw on the kino site anyway. It might be cheaper in real life due to member discounts or book launch? 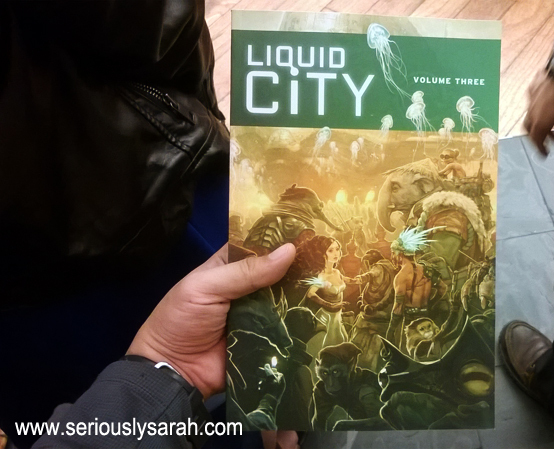 Continue reading Liquid City volume 3! Posted on July 14, 2014 July 13, 2014 Categories Random EncountersTags AdCrew, comics, events, singaporeLeave a comment on Liquid City volume 3! It was the comic face off at the national library, one of the events for Read Fest. Technically, I attended a wedding earlier in the day but then Max was suppose to attend this and it was quite nearby so we look-see-ed it too. 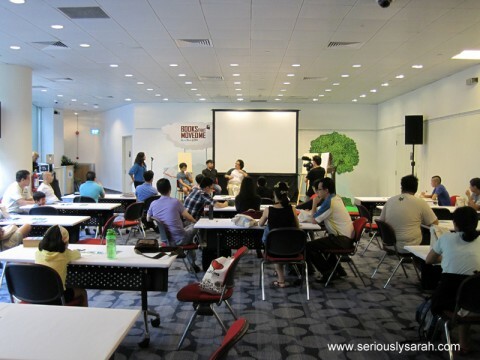 We had a mini Fantasy Fandom event at Jurong Library last Saturday. It was really casual and just a non-formal thing. Giveaways and prizes. By the way, on the left, that’s Dino, the library’s mascot.